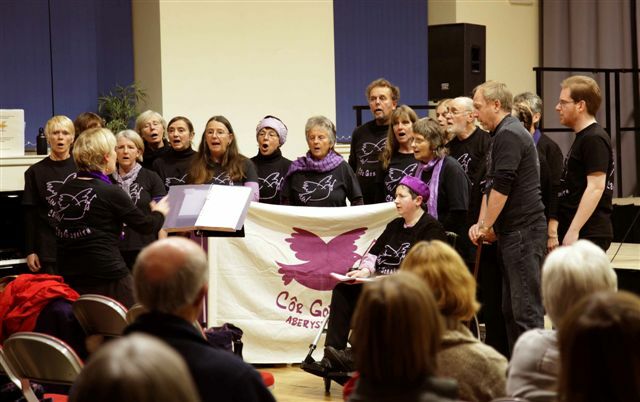 We sing about peace, justice and environmental sustainability. Every last Saturday morning of the month we sing on the street in support of those who are campaigning in so many countries for peaceful solutions to the problems in the world. And we regularly sing at related events and festivals.